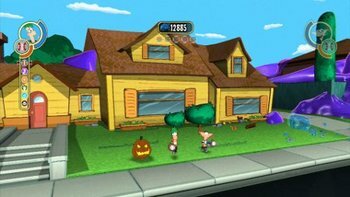 Celebrate Halloween this month with these awesome themed holiday assets from Disney Interactive Studios’ Phineas and Ferb: Across the Second Dimension! 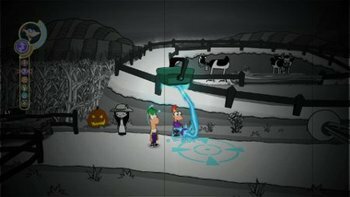 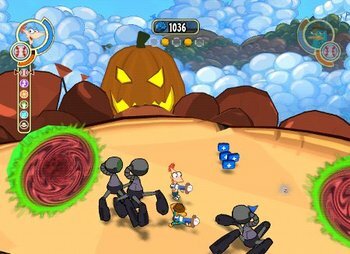 The assets, which highlight the Halloween Environment in the game, feature the spooky things players will find as they journey through the world of Phineas and Ferb! 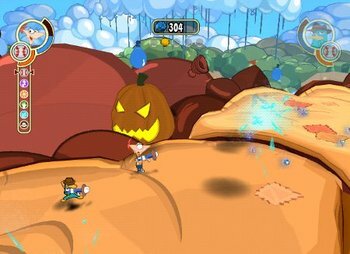 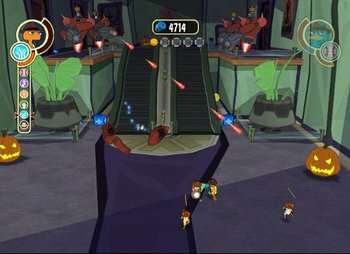 Based on the hit Disney Channel show and the highly-viewed movie of the same name, Phineas and Ferb: Across the Second Dimension is now available in stores for the Wii, Nintendo DS and PlayStation 3, and is rated E10+.